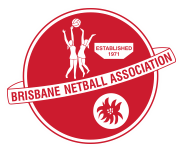 A very successful couple of nights for Kedron Lions Netball with three of our five preliminary finalists advancing to the grand finals. Best of Luck next week, KL Dynamite (Inter Div 1), KL Aqua (Inter Div 2), and KL Suns (U12 Div 1) who join KL Yellow (Open Div 2) and KL Flame (U11 Div 1) in the grand finals. Effort of the week goes to KL Ruby (U11 Div 2) who scraped through to knockout finals, won it, then taken on a team this week, they had not come within eight goals of all season. At the end of regular time, scores were level, but unfortunately they ran out of weeties in extra time, going down 8-5. Well done Rubies and Coach Sharon. Well done also to Coach Rod and team Electric (U12 Div 1) who were the underdogs for much of this season. They bowed out to our own KL Suns on Tuesday but can hold their heads very high.